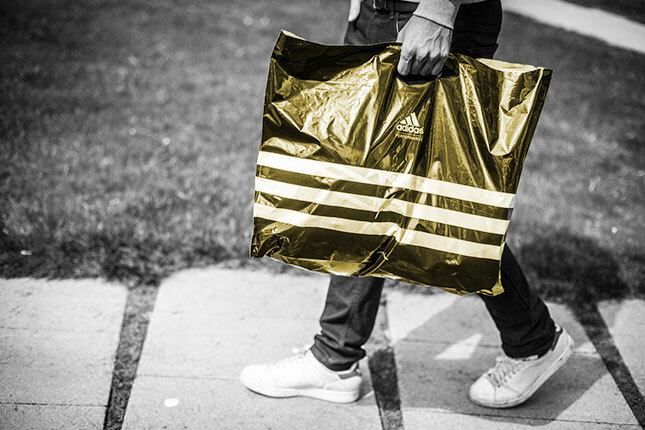 Shopping bags can be extruded to the exact thickness, size and colour as per the customer’s requirements. We can then print up to four different colours on each side of this film. This film can be supplied either as a roll or cut into individual pieces. After being cut, the style of handle can then be chosen as per your requirements; whether this is a simple “D-Punch” or make your bags a “Singlet Bag.” Gazettes on either side or the bottom can be implemented to give you a more compact expandable bag.